How Much Coffee Can You Drink? X-Mode Energy Shot is a bulk energy shot that contains 100 servings per box. The box has a built in tap similar to boxed wines and other beverages. The product also comes with two pre-measured bottles with 1 floz and 2 floz markings. X-Mode comes in just one flavor and that is cherry. While this product is a convenient and cost effective way to get a daily dose of caffeine, it does have the potential to be dangerous. If a user isn't careful, they could quickly consume more caffeine than is considered safe. We stress the importance of using X-Mode responsibly and keeping it out of the reach of children or those that may not understand the potential risks with bulk concentrated caffeine products. X-Mode would contain 15,000 mg of caffeine per box and is not recommended for those sensitive to caffeine. 12 Pack - Tweaker Energy - Berry - 2oz. Sugar content: Contains no sugar. How Does X-Mode Energy Shot Compare? 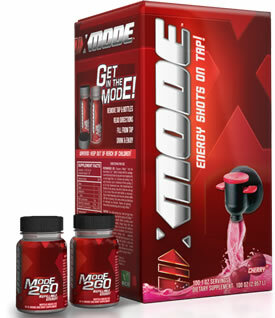 X-Mode Energy Shot contains 150.00 mgs of caffeine per fluid ounce (507.21mg/100 ml). Download our 100+ page book. Completely Free. Accurate caffeine information freely available to all.